"... Used plenty of protein powders over the years and this is my favorite. Slightly more expensive then the generic stuff but you get what you pay for and with Jim it's the quality. I love the time release aspect of this. Good flavors as well. Top notch!" Most Transparent Protein Supplement available today! Friends, this is the place for the protein you've been searching for. 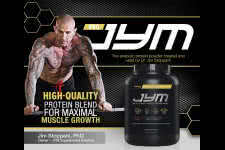 Doctor Jim Stoppani has created an incredible line up of supplements and his protein creation is by far our favorite. This line has become world famous and popular amongst the worlds athletes because of the full transparency of the ingredients and exact doses. This way you know exactly where your hard earned dollars are going and exactly what you're putting in to your body. This anabolic protein powder is the most effective way to give your body the growth and recovery tools it requires not just to recovery but to grow and improve from one workout to the next. 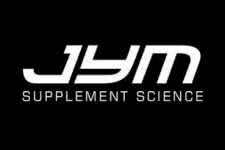 Each scoop of Pro Jym contains 24g of protein divided up as 7g of Micellar casein, 7g of Milk protein isolate, 2.5g of Egg albumin and 7.5g of Whey protein isolate. It's a blend as you can see which is ideal to feed your muscle at an instant, medium and slow pace. No protein spiking and only the best quality ingredients. Now comes in 11 Amazingly Delicious Flavors! This is your chance to know exactly what you're drinking!